For this installment of Mac Mondays, I’m going to look at products you can add to your iPhone, iPod Touch and general audio devices that could help you better enjoy your ride. I currently don’t own any of the products listed below; but, I did find them interesting and will probably add all of them to my accessories arsenal. When I reviewed Cyclemeter a couple of weeks ago, I liked how the information was displayed on my iPhone’s screen (check out the review here) but I was concerned about how to safely mount my phone to the handle bars (I used the Joby Gorrillamobile). 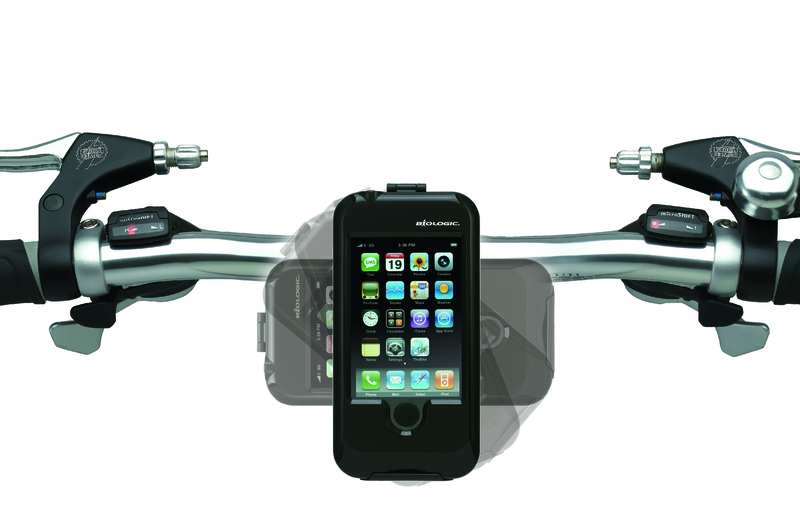 After searching the internet I came across the BioLogic Bike Mount for iPhone by Dahon. 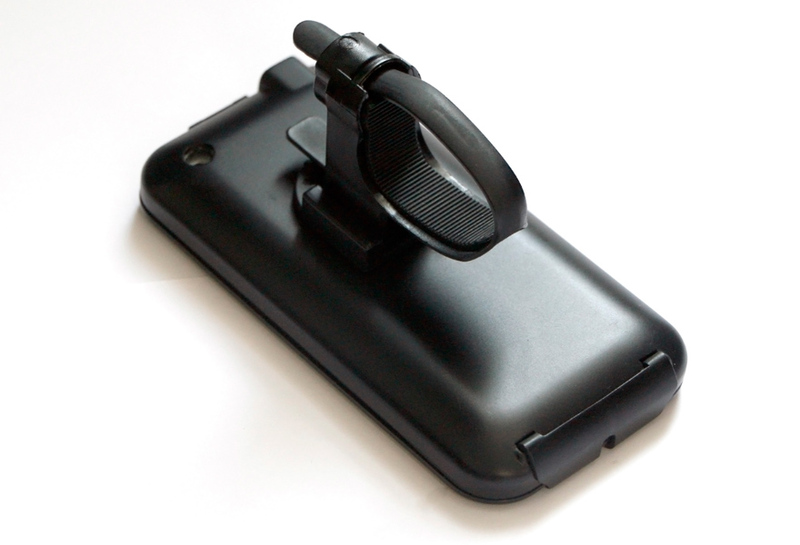 The Bike Mount is a weatherproof, silicone lined shock resistant case that pivots 360 degrees to allow you to use your iPhone in portrait or landscape mode. There is an opening on the back of the case that allows the rider to take videos or pictures while riding. 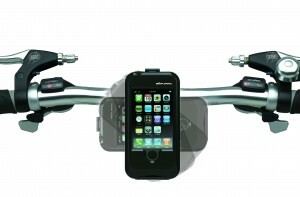 The Bike Mount (compatible with iPhone, iPhone 3G, and iPhone 3GS) is currently listed on Amazon for $54. I am very interested in this product but will have to wait to purchase an iPhone 4 Mount (supposedly available later in 2010). 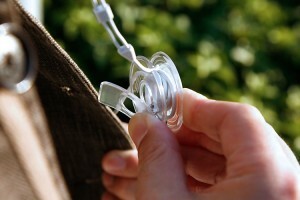 The next product that I am definitely going to buy is called One Good Earbud. It is a “two-channel-mono” earbud that provides safety while out on a ride. 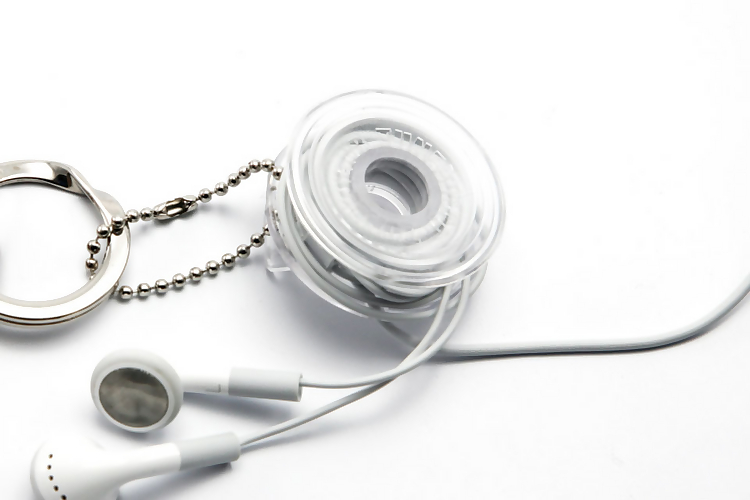 Since both stereo channels of music are mixed into one earbud (providing a great audio experience), riders have one ear free to attend to potentially dangerous items in their immediate environment (as usual, vehicles). One Good Earbud is available for any audio device ($19.95 US + shipping) and the Mobile Pro for smartphones version has a built-in microphone ($27.95 US + shipping). 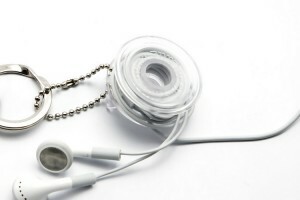 Finally, earphone cables can be an issue while out on a ride. While searching the internet, I discovered Tuneclip. It allows you to wind your earphone cables around a reel-shaped body and enclose them in the device. 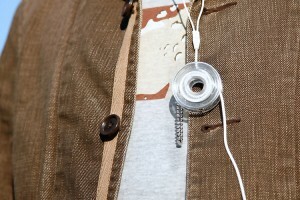 Tuneclip also has a clip on the back of it that allows the user to attach it a shirt or just about anywhere else. Cables can be easily adjusted to the required length needed while Tuneclip keeps the rest of the cables out of the way of your equipment. 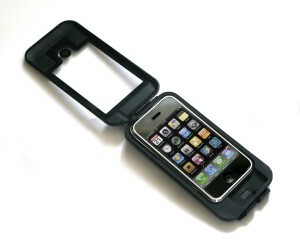 Available from Tunewear for $14.95 US. I’ve only listed three potential accessories that I’ve found interesting. I know that I’ve missed many unique and useful gadgets…what are they? Please let us know. #4 WOW – I have some catching up to do, Great info Myron!! I’m also loving this series, and am a big fan of cyclemeter. I’m leery of a mount, for reasons stated above, but also because I don’t want to be constantly looking down. I wear regular shorts with pockets over my bike shorts, and the iPhone usually sits there without bothering me for the ride. If it becomes a problem, I’ll put it in a fanny pack. Nice info Myron, I’ve used a number of iPhone Apps and I had a bike mount from Amazon, which was crap to be honest so I stopped using it. But my biggest gripe is the lack of battery life on the phone itself. My cyclemeter app lasts about 4 hours. Ok for a morning ride but no good for a day out. I got a Garmin Edge 500 instead which I’m totally in love with! My iPhone is now back to being just a phone. I had a bike mount for my iphone 3, not this brand, and the seal came out and my phone ejected itself onto an asphalt path narrowly avoiding skittering into the bayou below. I loved the bike mount until that exact moment. First word to the wise — check your seal before every ride. 🙂 Now, I have no seal, so my $50 bike mount is worthless unless I can buy a seal separately. Turns out the seal flew out while my bike was on the carrier. Second word to the wise — make sure mount is firmly closed before you drive off with bike & mount on the carrier. I thought this was a great series. Nice job Myron. Another fantastic post, Myron. Thanks for more great information. Your Mac Monday series has been great and has made our site much better during the month of September. I know this is the last of the Mac Mondays, but we’ll definitely need you to add in some more here and there, whenever you have them.